Studs are one of the most popular pieces of jewellery to gift and with good reason. Their refined yet, timeless style can be paired effortlessly with almost any outfit for an additional touch of elegance. 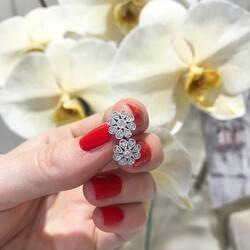 Our alluring Diamond Flower Studs are no exception. Beautifully crafted additions to the modern woman’s jewellery collection, these dazzling studs enchant with a millgrain detail and feature 0.28 carat round brilliant cut diamonds, perfectly set in 18-carat white gold. 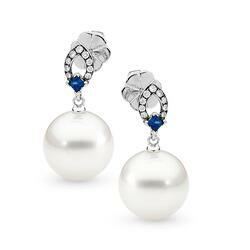 We simply adore the classic opulence of pearls. An everlasting ode to elegance and sophistication, stunning pearl earrings will never go out of style and are appropriate for any occasion. Our Pearl and Sapphire Drop Stud Earrings each feature a 11mm South Sea Pearl perfectly accentuated by princess cut blue sapphires and round brilliant cut diamonds. 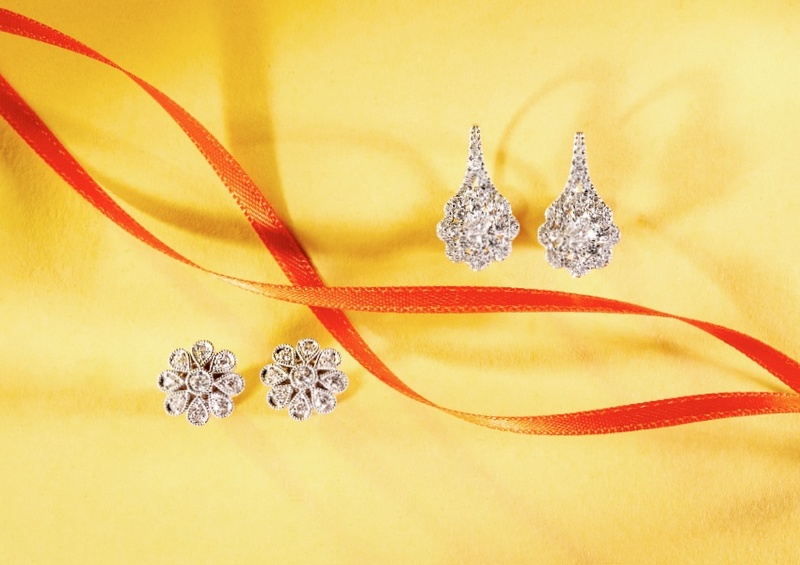 These earrings exude a polished simplicity and make a gorgeous addition to any holiday wish list. For the jewellery lover who opts for the dramatic, create a statement with an exquisite pair of drop earrings. 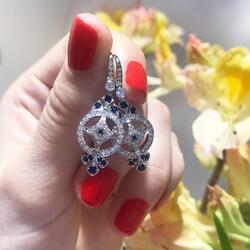 Our Art Deco inspired Diamond and Sapphire Drop Earrings feature Round Brilliant Cut Diamonds and Blue Sapphires in an impressive and unique design. Whether you’re looking for something subtle and classic or bold and dramatic, find the perfect pair of earrings for your jewellery lover at the Matthew Ely boutique. Follow us on Instagram for more earring inspiration!